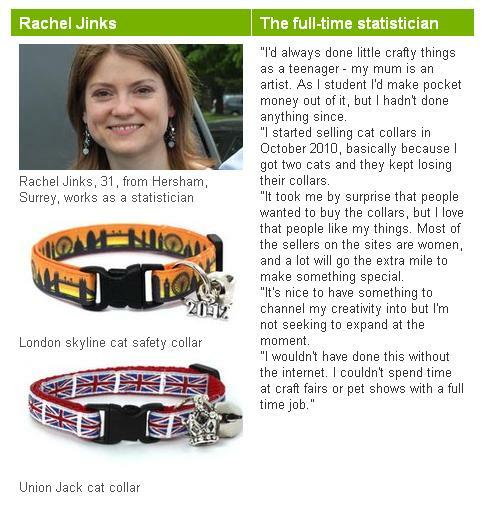 Very excitingly, last week I was featured in an article on the BBC website about the resurgence of craft in the UK. I was interviewed for this article back in July and wasn't sure it would ever appear on the site! It's great timing though - hopefully lots of people will consider shopping for handmade items this Christmas. Here's the excerpt - now you know what I look like! Watch our silly cat videos!